Most premium Jefferson nickel values are found in the early years, 1938 and 1939. They are worth 25 cents to $2 to $25 depending on date, mintmark and condition. Additionally, wartime silver nickels from 1942-1945 because of their silver content, have a minimum value of $0.70 each in Good condition. A key to coin values is understanding today's collector market. 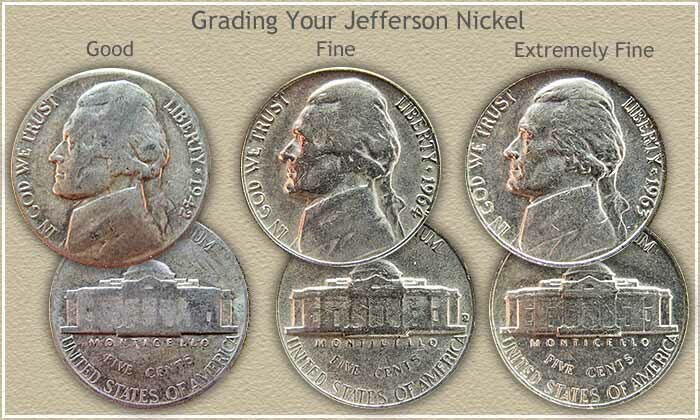 Realize, an "Uncirculated" Jefferson nickel is the quality pursued. Most others have minimum value unless in this grade. Collectors and dealers are always looking to add to their holdings. A stunning "Uncirculated" coin such as the one pictured is the type of coin eagerly sought. Jefferson nickel values reveal this. The second half of the chart lists coins only in this condition. The following values are for coins dealers are actively buying. Importantly: See the "Grading" image below the chart to help determine if your coin is in premium collector condition. Note: Jefferson nickel values not listed and marked with an (*) in certain grades are coins that generally trade for minimal value above face value. Dealers and collectors are interested only in coins in uncirculated or preferably choice uncirculated condition. 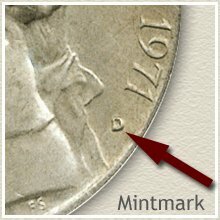 After identifying your coin by date and mintmark, determining its "Grade" has the next greatest influence on value. The better state of preservation the more desirable to a dealer, the more it is worth. To accurately determine your Jefferson nickel values, compare your coins to the images below and assign each coin a grade. Look closely at Monticello on the reverse. Four central pillars showing, separates a nickel in "Fine" condition from one where Monticello is worn smooth and in "Good" condition, . If all the details on the obverse and reverse are crisp and sharp, with slight wear, your coin is in "Extremely Fine" condition. Dealers and collectors focus on choice uncirculated coins. They are best described as bright, new, never circulated coins. The top image is an example of an uncirculated, attractive and highly collectible nickel. An uncirculated coin shows no evidence of wear on its surface. When first minted the entire surface of a coin displays a bright gleaming luster as shown on the uncirculated example below. 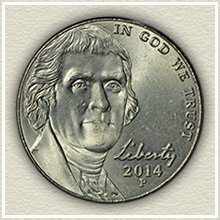 For an in-depth study visit Grading Jefferson Nickels and follow both the video and descriptions with images. Very delicate, this luster it is the first to wear from circulation. As the result of wear the surface begins to show a dulling of the shine. Rotate your coin under a light, changing its angle, an uncirculated coin shows no breaks in this luster. Notice also the coin with slight wear still shows mint luster within the lettering, however a dulling of the surface from wear is evident on the shoulder and collar of the jacket. Everyone considers PCGS and NGC as leaders in coin grading services. They both authenticate and grade your coin. The small fee you pay provides assurance you understand and receive the full value of your coin. Check a few rare coin dealers listings, look for those offering Jefferson Nickels for sale, their listings and prices usually include a notation of the NGC or PCGS assigned grade. Additionally... these coin dealers are potential buyers of your coins. 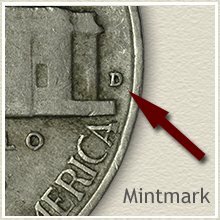 From 1938 to part of 1942, mint marks, "S" for San Francisco and "D" for the Denver mint are located to the right of Monticello. Silver war time Jefferson nickels minted 1942-1945 are easily recognized by the large mint mark "P" for Philadelphia, the Denver "D" or San Francisco "S" above the dome on Monticello. In 1946, after the silver nickels ended, the mintmark was restored to the right of Monticello. Starting in 1968 the mintmark found a new location. Look just past the date on the obverse. Although the Jefferson nickel series is extremely long running, dating back to 1938, their values are in their infancy. The series remained basically unchanged throughout the first 65 years. However, the recent new designs are beginning to attract attention to nickels. With this renewed interest comes a rise in the number of collectors and a rise in value is sure to follow. Perhaps consider your old nickels as the beginnings of a collection. If not, one successful approach is to sell all your coins and use the proceeds to purchase one nice rare coin… the one you were hoping to find in the box. Pass the thrill of a rare and valuable coin on to your children. Return whenever curious and update your Jefferson nickel values. New era nickels are collected in top condition. It is in Mint State preservation added premium value and higher prices are found. Important to compare you coins to the condition images to separate the worn from those with no wear. Return to the index page of Shield, Liberty, Buffalo, and Three Cent Nickels. Match your coins to the grading images and value charts, discover your rare coins. 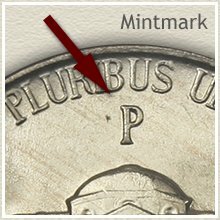 Videos, close-up images and descriptions, give insight into the details to accurately grade the condition of your old nickels. Judge carefully to find the true potential value. Do you have other denominations? Coin Values Discovery... finds Jefferson Nickel Values and... All old US coin values. It is an excellent index with images and text links to all coin series, from Cents to Gold. Value charts, grading images and descriptions uncover how much your box of old coins is worth. Print the Coin Values Worksheet - link in navigation column - to list your Jefferson nickel values and record their values. Should you decide to sell... use the worksheet as an invoice and packing slip when sending coins through the mail to dealers. It indicates you have done your coin values homework.